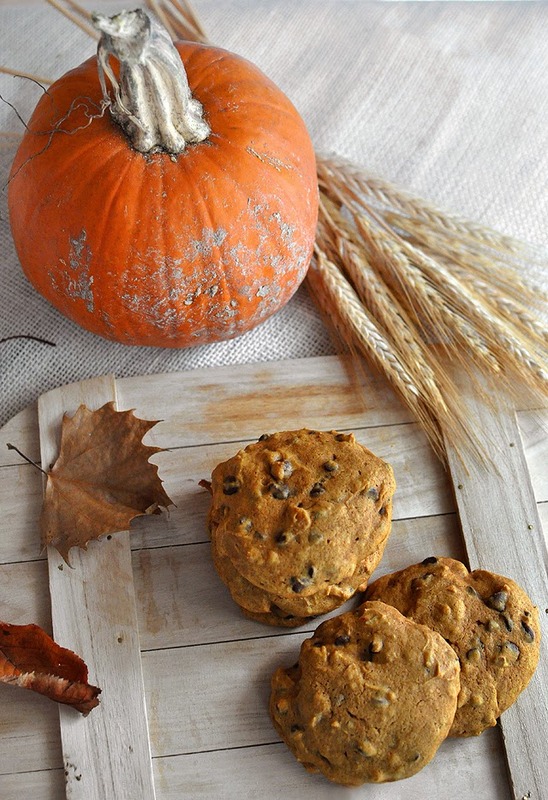 Pumpkin Cookies are by far my favorite cookie. I still remember trying it for the first time, nine years ago, when I moved to Utah from Croatia. You see, we didn't eat much of pumpkin anything in Croatia then. I think things are rapidly changing now, and have been for a while. But, nine or ten years ago, finding pumpkin anything back home was pretty much impossible. And while I got used to peanut butter and maple syrup over the years; and enjoy them both now very much, especially savory foods with peanut butter; pumpkin anything was love at first bite! 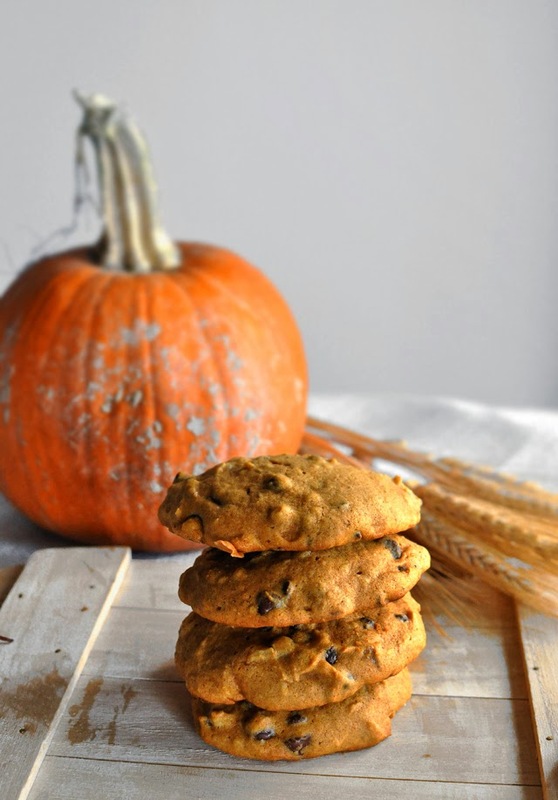 You can buy many yummy store bought kinds around here, but my favorite cookies to this day are still my mother-in-law's that were the first pumpkin cookies I ever tried. 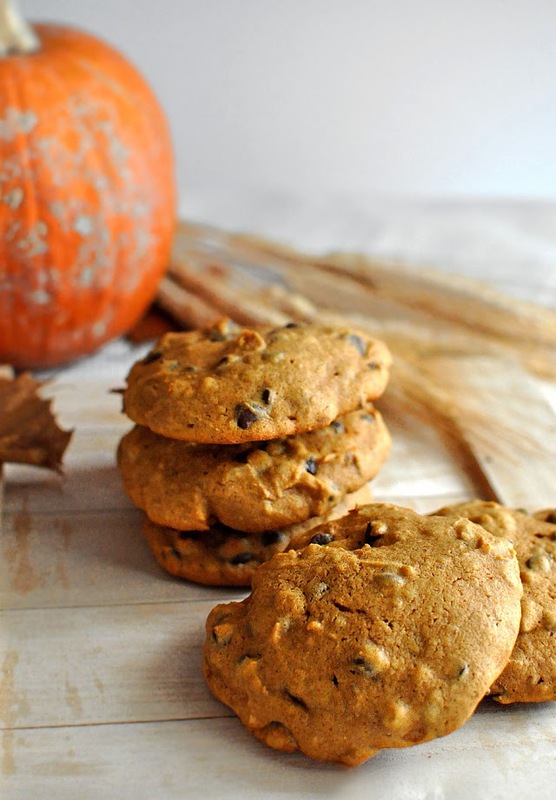 I sometimes make other pumpkin cookies, promising to be the best ever, but I always come back to these. I am not promising they are the best ever. I am just saying they are the best ever to me. I love them the most how my mother-in-law makes them, but sometimes I like to switch it up a bit and instead of chocolate chips, add cranberries and white chocolate, or change up the spices. 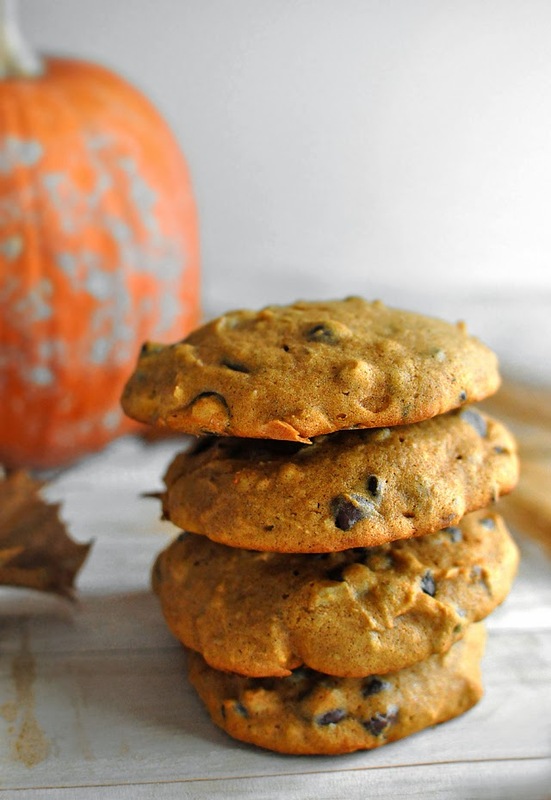 This recipe is how she makes them, and the big secret is, she uses the chocolate chip cookie recipe from the Hershey's chocolate chip bag as her base! Take your flour, baking soda and salt and mix it with a whisk. Cream the butter and both of the sugars. When it gets light and fluffy add the eggs one at the time, add vanilla, pumpkin and then spices. Mix it well. Add your flour mix and then chocolate chips and walnuts. Now mix by hand only to combine. Bake on un-greased cookie sheet about 9 to 11 minutes. 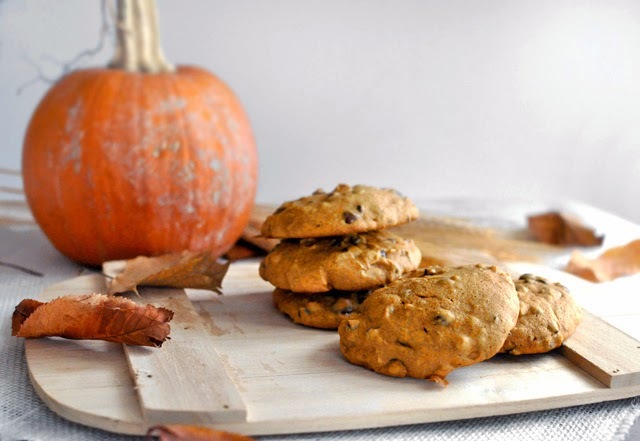 Even though I make these most often around Halloween and Thanksgiving, I love these cookies so much that I occasionally bake them from late August till the end of Winter, stock up on those pumpkin purees! And grab some milk!